An intense and touching anime romance that brings all kinds of emotions to the table. 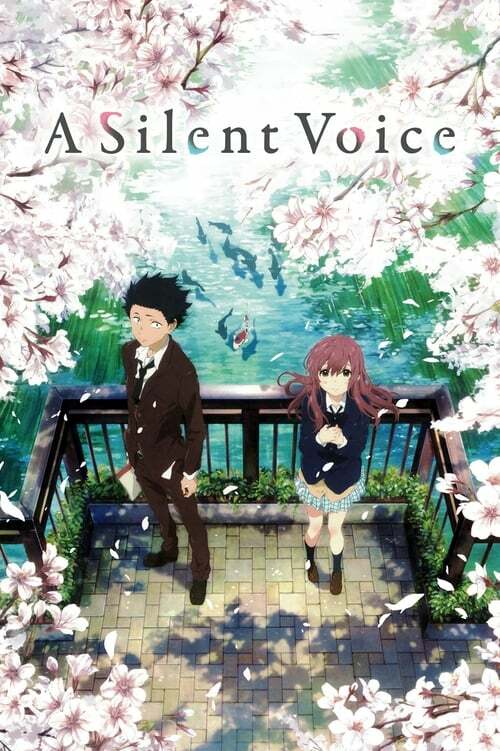 When I first learned about the anime film A Silent Voice, I knew it was something I had to see. The plot of a guy trying to make amends to a deaf girl he used to bully when they were younger was just too good of a plot to pass up on. Thanks to our friends at Eleven Arts, I was rewarded with an intense and moving story along with great artwork and animation that’s sure to bring all sorts of “feels” to any willing to follow this voice. Based on Yoshitoki Oima’s manga, the story follows Shoko Nishimiya, a young deaf girl that’s just transferred to a new school. It’s here where we meet Shoya Ishida, a popular young boy at this school where he and his friends decide to pick on Shoko whenever they can. Naturally, the school isn’t impressed and treats him as an outcast, which leads him to sit down and go over his immature behavior which in turn depresses and angers him. Five years go by and he makes it his mission to seek out Shoko at school and try to make amends for all the pain he’s caused her. Of course this won’t be as simple as Shoya thinks it is, as the two have a lot of bad history to go over. But things slowly change as the two become closer, but when Shoya decides to get the old gang back together which leads to a slew of other problems both old and new, the chance of Shoya and Shoko staying together begins to fade as they’ll both have to make some tough choices. I’ll leave it at that as not to spoil any of the more crucial moments that occur in the film. Needless to say it gets pretty intense and is well worth seeing as I thoroughly enjoyed my time with this one. I loved how the movie held nothing back with the bullying, not to say it didn’t disturb me any. Moments when Shoya yanks out Shoko’s hearing aid which causes blood to spill from her ear, to the constant teasing and mocking Shoya and his friends do to her is enough to bring tears of both sadness and anger to your eyes. But you keep watching in hopes things get better, and they seem to for a bit, then more trouble appears on the horizon that’ll keep you hanging until the end. As I mentioned earlier, the artwork and animation are spot on, as you can easily see this movie had a nice budget to work with. The voices fit nicely and make the characters believable whether you watch it with the original Japanese dialogue or with the new English dub (which I saw in the screener I was sent). These elements come together to pull you in and do their best to make you forget you’re watching an animated film, and instead focus on its amazing story. If you enjoy some shocking realism with your slice-of-life anime romances, you’ll want to experience A Silent Voice. A moving and often intense story, characters that feel real, and great artwork and animation serve to make this a voice you’ll want to listen carefully to.